Child Dental Care, a necessity of today! 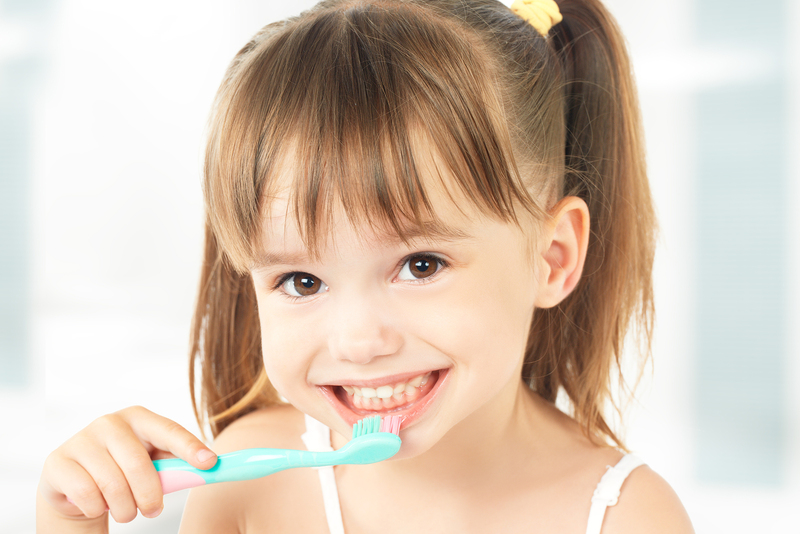 One of the biggest challenges of tooth care arises at the early and late childhood of children. It is often noticed that if the care of a child’s teeth is not taken properly then it damages the quality of teeth and gives adverse effects later. It is often advisable to make sure on what the kids are having during the day. It is very difficult to keep children away from sweets, candies, chocolates, cookies, chips etc. but it is very important to keep a close check on the child’s food habits. It should be ensured that there is an intake of green vegetables, fruits, nuts etc. We know that it is very difficult to make these tiny tots eat these nourishing food willingly. Therefore these things take time but should be adopted by the parents for their child’s dental care. Regular brushing and flossing is a must and brushing before going to the bed should be an unforgettable practice. It should be made a regular practice to brush your teeth to remove all the food particles from the teeth so that there is no cavity formation and the risk of tooth decay also decreases. Brush twice a day for healthy teeth. Time to time visits to the dentist is also a must. As prevention is better than cure. And being in contact with the dentist will help you to track your child’s dental care and also make you aware of the child’s dental problems. Chocolates are children’s best friend, but they cause severe damage to the teeth of the little ones. We can’t completely stop them from eating, but we can surely manage what should the minimum intake of chocolate and how can it be reduced even more. Teeth are the most valuable part of a person. Teeth make you smile, it is the source to chew your food and mainly it adds to your beauty so ensure they are treated as a valuable gem and it should be taken proper care of your teeth. Teeth are your valuable assets, value them.